Certain sections of the media had reported that Vijay 60 was to be shot in Pollachi but the plan had to be shelved because of fans thronging the shooting spot. 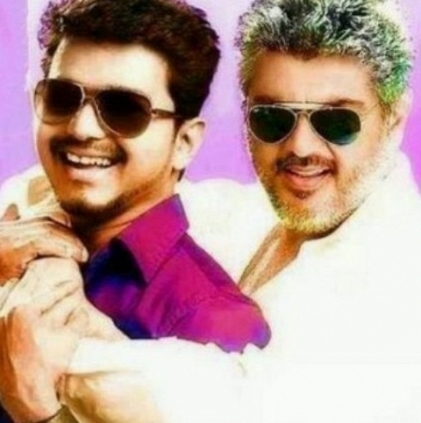 However, sources close to the team deny this and tell us that Pollachi was never in the scheme of things at all and when stars such as Vijay and Ajith are being involved, the production team generally plans to shoot either inside sets or in locations outside Tamil Nadu. Going with these, the team of Vijay 60 plans to have their next schedule in Rajahmundry and a few places in Andhra and Telengana around the second week of September. As reported by us earlier, Vijay 60 is nearing the finish line soon and is expected to be wrapped in September. Stay tuned for updates! People looking for online information on Ajith, Pollachi, Vijay 60 will find this news story useful.